Hector collected acorns on the way to school. He loves all their differences and similarities. He loves their beauty. He fills his desk with them. He fills it so full, that it looks like a squirrel stashed them there for the winter. So, when the teacher says it’s time to check desks, Hector is worried. 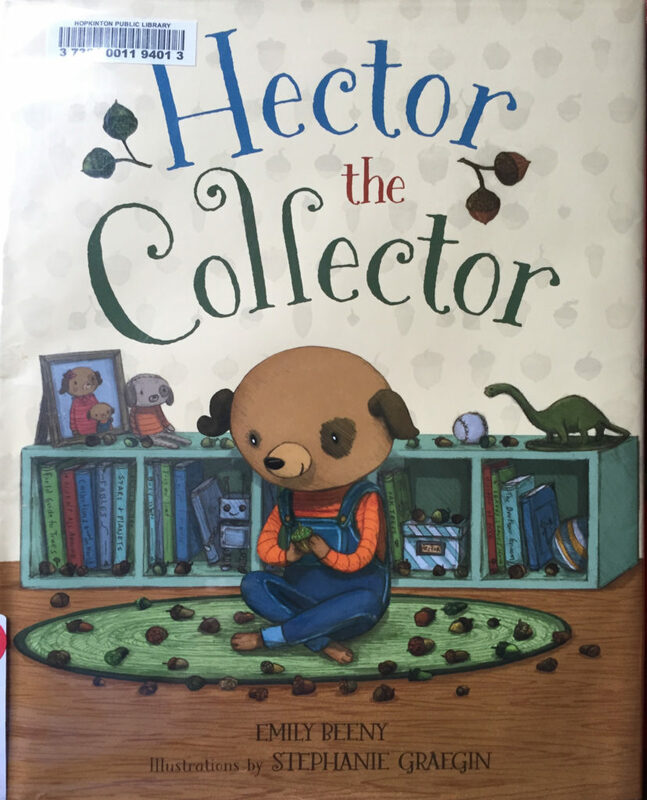 But, this super teacher helps Hector feel better. Collections come in all shapes and sizes, a lot of people have collections, and they are all beautiful. Scraps of fabric, baseball cards, and stamps. Museums are made of giant collections of things people visit too. Hector could have an exhibit of acorns he has so many!